Her book of poetry, Raw Silk Suture, released by Floricanto Press in 2008, was positively reviewed by Rigoberto Gonzalez. She has curated multimedia exhibits, mounted her own multimedia piece, Reclamo, in the Pilsen art corridor in Chicago; and is currently a contributor to the nationally touring exhibit, Re-imagining the Distaff Toolkit, curated by Ricki Solinger/SUNY. Lisa is the recipient of grants from the Department of Cultural Affairs, The NEA, and the Ragdale Foundation. In Fall, 2009, she was awarded Hispanic Author of the Year by the State of Illinois. I am a freelance education writer for organizations and individuals interested in education, writing, teaching and race. I am also an Educator-in-Residence at Design Cofounders, where I help with the development and facilitation of Education pathways in Design & Entrepreneurship communities in Toronto. I also teach composition and literature. I am passionate about teaching & learning, student voice, professional development, writing and literature. 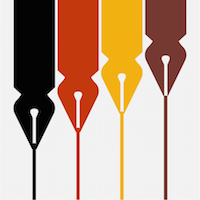 I am currently working on The Writing Project, an essay writing platform for students, because I believe that writing gives students a voice. When students are empowered and inspired their voice translates into meaningful words that have the power to change the world. Former freelance writer for The Philadelphia Inquirer, producing feature and news articles for the Lifestyle and Metro sections. As seen in Hechinger Report, Teaching Tolerance, Modern Learners. Donovan X. Ramsey is a multimedia journalist whose work puts an emphasis on race and class. He has written for outlets including The Atlantic, Gawker, The New Republic, MSNBC, Talking Points Memo and Ebony, among others.The Columbus, Ohio native earned his M.S. in magazine journalism from the Columbia University Graduate School of Journalism and B.A. in psychology from Morehouse College. He is currently a Demos Emerging Voices fellow and resides in New York City. I received my degree in journalism and am just trying to put my name out there and spread a message like the majority of people that have the ability to start a blog in this age of digital media. Dr. Raina J. León, Cave Canem graduate fellow (2006) and member of the Carolina African American Writers Collective and CantoMundo, has been published in Danse Macabre, Mandala, Connotation Press, Contrary Press, The Holly Rose Review, Bosphorus Art Project Quarterly, The Osprey Journal (Scotland), Verdad Magazine, The Sixers Review, The Externalist, Minglewood, The Cherry Blossom Review, Natural Bridge, African American Review, OCHO, Spindle Magazine, Black Arts Quarterly, Poem.Memoir.Story, Womb, Boxcar Poetry Review, Salt Hill Journal, Xavier Review, MiPoesias, Torch, Poetic Voices without Borders, Gathering Ground: A Reader Celebrating Cave Canem’s First Decade, Growing Up Girl: An Anthology of Voices from Marginalized Spaces, AntiMuse, Farmhouse Magazine, Furnace Review, Constellation Magazine and Tiger’s Eye Journal, among others. Her first collection of poetry, Canticle of Idols (2008), was a finalist for both the Cave Canem First Book Poetry Prize (2005) and the Andrés Montoya Poetry Prize (2006). Her second book, Boogeyman Dawn (2013), was a finalist for the Naomi Long Madgett Prize (2010). Her third book, sombra: dis(locate) will be released in 2014, Salmon Poetry. She has received fellowships and residencies with Cave Canem, CantoMundo, Montana Artists Refuge, the MacDowell Colony, Kimmel Harding Nelson Center for the Arts, Vermont Studio Center, the Tyrone Guthrie Center in Annaghmakerrig, Ireland and Ragdale. She headed the High School Literacy Project at the University of North Carolina where she received her doctorate in education and is currently an assistant professor of education in the Kalmanovitz School of Education at St. Mary’s College of California. She came to Saint Mary’s from the Department of Defense Education Activity, where for three years she taught military dependents in Bamberg, Germany. Raina received her BA in Journalism from Pennsylvania State University, MA in Teaching of English from Teachers College Columbia University, MA in Educational Leadership from Framingham State University and PhD in Education under the Culture, Curriculum and Change strand at the University of North Carolina – Chapel Hill. She is currently pursuing a MFA in Poetry at Saint Mary’s College of California. Her research interests include high school engagement and the teaching of poetry, critical literacy in the high school classroom, facilitating freshmen transitions and educational technology usage among high school educators. She also is a founding editor of The Acentos Review, an online quarterly, international journal devoted to the promotion and publication of Latino and Latina arts. In her free time, she enjoys traveling to trendy spots and little holes in the wall around the world, gardening, locating fantastic ingredients for her culinary experiments, and sampling local and far flung arts scenes. I write about everyone’s favorite dinner party topics: race, the culture wars and God. But don’t worry, I try to mix it up with less popular subjects like blockbuster movies, Netflix’s new binge-worthy show and Jay-oncé’s latest baby pic trending on Twitter. I spin words for the web, print and TV—from politically-themed poetry and researched news stories—to catchy website copy and restaurant reviews. With a background in education, public speaking and arts/media, I have the ability to convey complex information and ideas in an easy to understand, conversational tone.